UAD Software v9.1 arrives with several enhancements, feature improvements, and five new additions to their award-winning lineup of plugins. The free update is compatible with all UAD-2 products (Apollo, Satellite, PCIe) and external connection types (Thunderbolt, FireWire, USB 3). 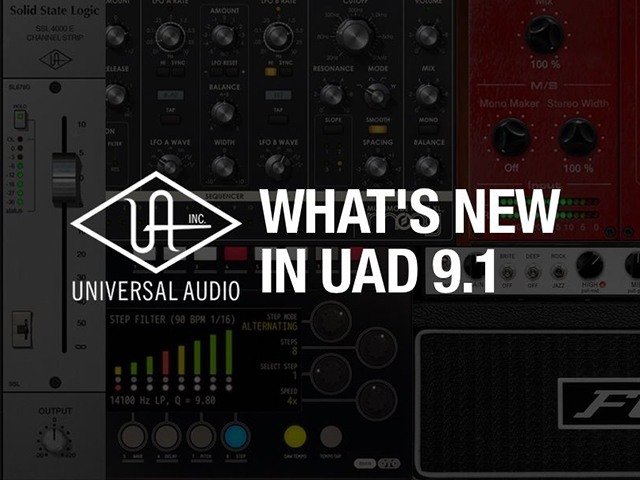 Learn more about the UAD Software v9.1 here. 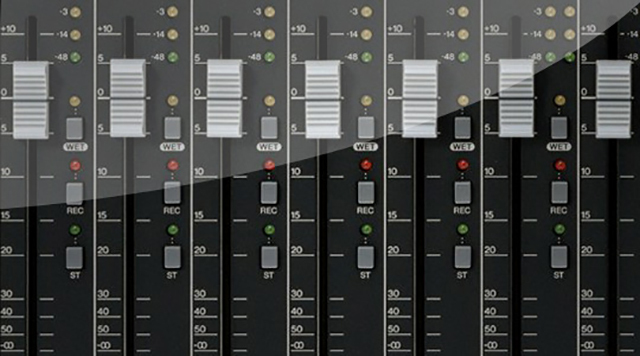 Introduced in 1979, the SSL 4000 E console brought a modern sound to the world, powering more Platinum-selling records than any other. It’s bold, punchy character and incredible dynamics have made the SSL 4000 E a true industry standard and a bastion of modern recording. Moog analog filters have long reigned supreme as the most musical audio filtering circuits ever devised. With incredibly rich, fat filtering, and built-in sequencing capabilities, the new Moog Multimode Filter Collection for UAD-2 hardware and Apollo interfaces represents a major advancement for dance and electronic producers. Built for modern sequencer-based song production, the new Moog Multimode Filter XL plug-in — a one-year effort between Moog Music and UA — borrows from various incarnations of Moog designs, nailing the essential Moog filter character unlike any software emulation in history. With gritty bitcrushing, lo-fi multi-effects, and analog filtering, the hard-to-find BISCUIT 8-bit Effects processor is a legend among EDM producers, DJs, and remixers. Developed by Softube, the OTO BISCUIT 8-bit Effects plug-in is an exacting emulation of this modern cult classic that lets you endlessly deconstruct your sources. Exclusively for UAD-2 hardware and Apollo interfaces. An homage to the mysterious, insanely expensive Dumble™ Overdrive Special, the Fuchs Overdrive Supreme 50 Amplifier delivers smooth, complex overdrive, and deep, three-dimensional clean tones with endless headroom. Developed by Brainworx, the Fuchs Overdrive Supreme 50 Amplifier plug-in expertly captures all of the nuance and tube-powered tone shaping of this legendary amplifier. Exclusively for UAD-2 hardware and Apollo interfaces. Born in the days of disco, subharmonic synthesizers helped overcome the low-end limitations of vinyl, giving DJs, sound designers, and club mixers pounding kick drums and booty-shaking basslines that defined dance music. Developed by Brainworx, the bx_subsynth Subharmonic Synth plug-in takes its cues from the iconic dbx 120XP Subharmonic Synthesizer, but with a host of modern features. 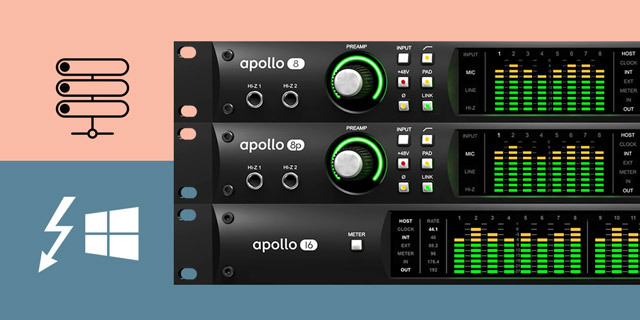 UAD v9.1 software also features Apollo Thunderbolt multi-unit compatibility for Windows 10 — now mix-and-match up to four Apollo Thunderbolt audio interfaces for up to 64 x 64 channels of analog I/O on Mac or Windows 10. Apollo FireWire multi-unit configurations are also now supported in Console 2 on Mac and Windows.